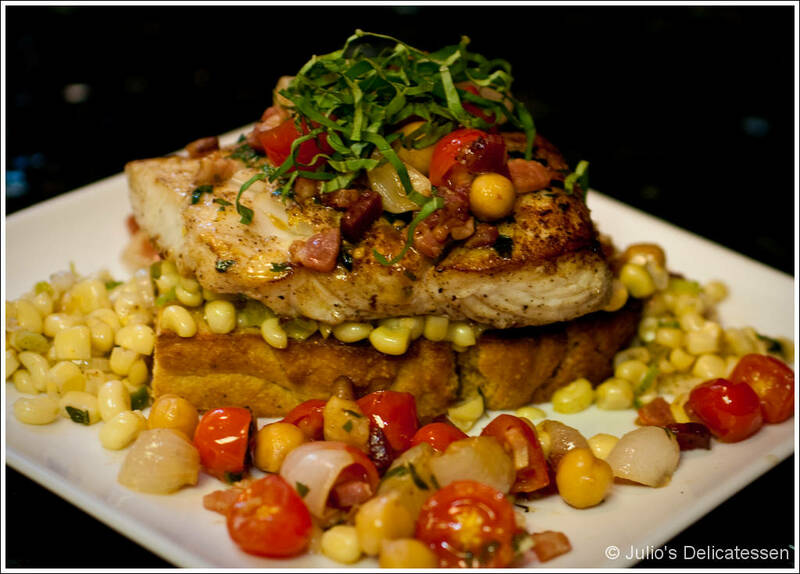 Halibut with Sweet Corn, Tomatoes, Chickpeas, and Grilled Cornbread. Oh, and Bacon. This is one of those recipes that appears much more difficult than it really is. At lunchtime today, I went to the kitchen, made the cornbread, put it in the oven, zested a lemon, seasoned the fish, put it in the fridge, made a sandwich, ate the sandwich, took the cornbread out, transferred it to a cooling rack, covered it, washed the pan, put it away, and went back to the office. Total elapsed time = 45 minutes. Once you’ve done that, the rest couldn’t be easier. As I mention below, this can be done in three separate skillets if you really want everything to be piping hot. Alternatively, you can make everything in one skillet. I highly recommend this. Once the fish is done, you can transfer it to a plate and allow it to rest for a few minutes while you clean, dry, and put-away the skillet you used. Thanks to my uncle Jeff for sending this recipe along. About four hours before mealtime – season the halibut with thyme leaves, parsley, lemon zest, kosher salt, and pepper. Cover with plastic and place in refrigerator. 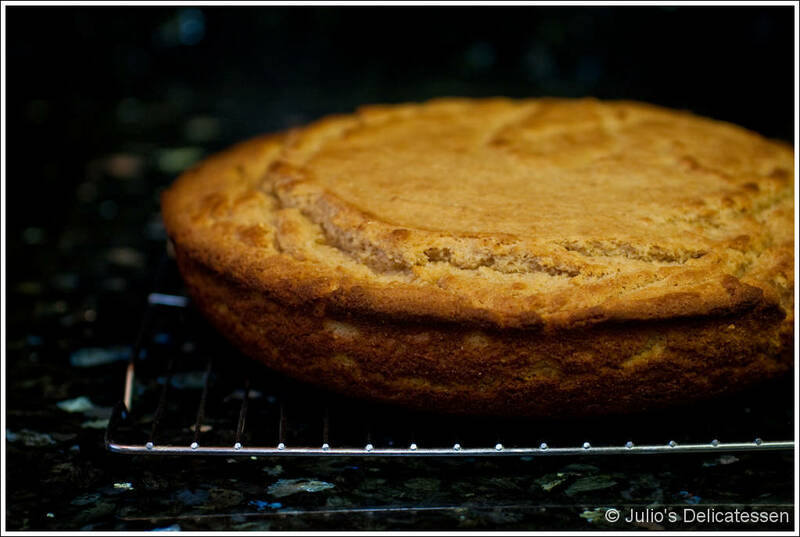 Make the cornbread – Heat oven to 400. Place 10” cast-iron pan over medium heat for one minute. Add 8 Tb of butter and cook for 4 minutes until butter is brown. Turn off the heat. In a large mixing bowl, combine all of the dry ingredients. Make a well in the center. Add the buttermilk, eggs, and honey. Thoroughly beat the wet ingredients together, then mix with dry ingredients just until combined. Fold the browned butter into the batter. Return the cast-iron pan to the stove over medium-high heat. Add the remaining 2 Tb butter to the pan, swirling to coat pan. As soon as the butter foams, pour batter into pan. 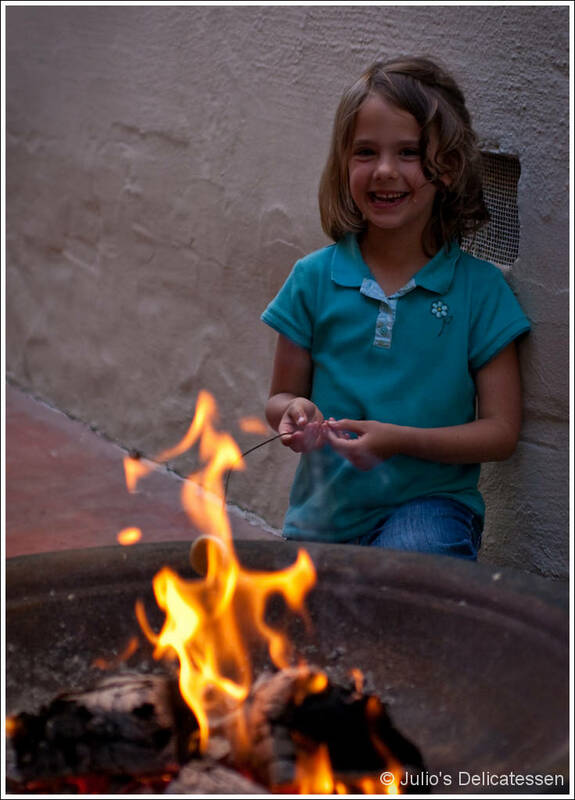 Transfer immediately to oven and bake for 25 – 30 minutes or until golden brown. Remove from oven and cool completely. The next steps can be done in three separate pans or all in a single pan (moving things to bowls and covering with foil as you complete them). I recommend the latter. About 30 minutes before mealtime, remove the halibut from the fridge and place on the counter. Heat a large skillet over medium heat. Add 2 Tb of butter. When the butter is melted, add scallions and thyme. Cook for 3 minutes. 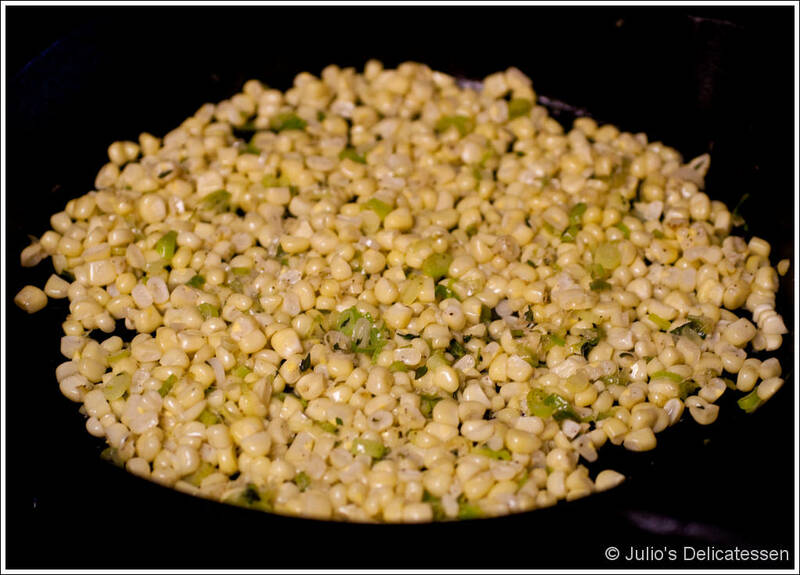 Add corn, salt, and pepper, and cook another 3 minutes or until corn is tender. Remove from heat. If using the same skillet, quickly wipe it with a paper towel. Place it back over medium heat for a minute, then add the bacon. Cook for about 5 minutes until starting to crisp. Add cipollini onions and cook for 2 minutes. 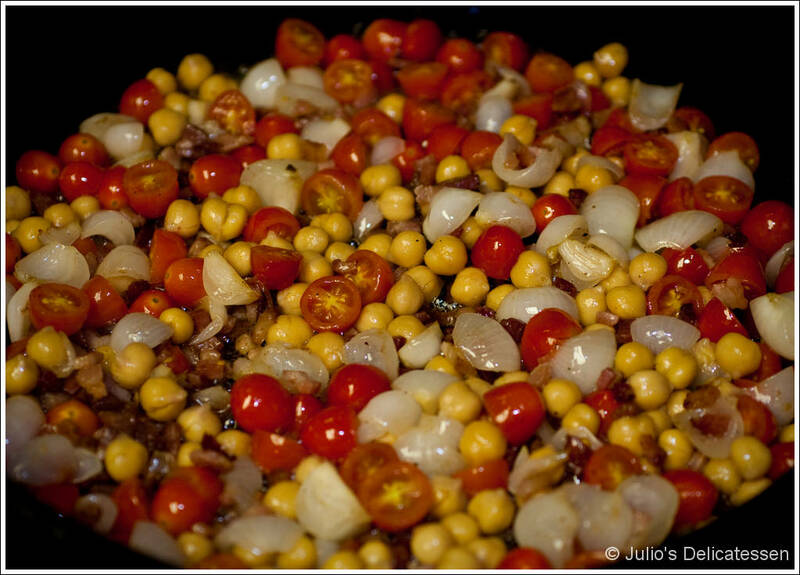 Add cherry tomatoes and chickpeas and cook for another 2 – 4 minutes. Season with salt, pepper, and the sherry vinegar and remove from heat. If using the same skillet, wipe it down again, then place it back over medium heat. Add the olive oil and 2 Tb butter. When the butter is melted, add the halibut. Cook for 4 – 5 minutes until first side is browned. Flip and cook just until the fish is cooked through, a couple more minutes. While the fish is cooking, slice cornbread into ¾” thick slices. Take four slices and brush each side with either melted butter (yummier) or extra-virgin olive oil (healthier). Grill lightly until warm and brown. Place a piece of cornbread on each plate. Top with corn, then halibut, then chickpeas and tomatoes. Garnish with some chiffonade of basil. 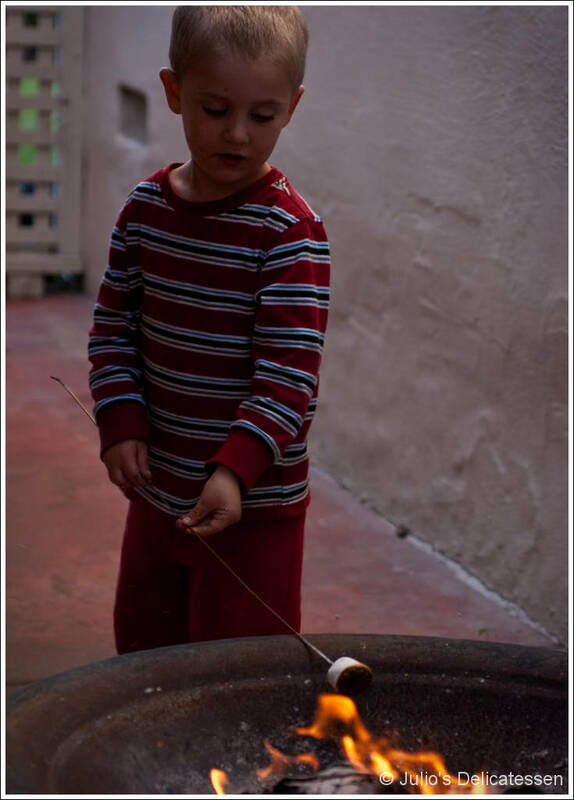 After dinner, we let the kids make s’mores in the backyard. The perfect end to a perfect springtime-Friday meal. It sounds pretty easy and it looks delicious! I love your recipes and photos. I am definitely going to try this recipe for Halibut. Sometimes it’s hard to find good, fresh seafood in Ohio. Will any other fish work? Also, what are cipollini onions? Can I substitute shallots or Vidalia onions? Hi Brenda! You can definitely make this with any other kind of meaty fish. Frozen halibut (Trader Joe’s) also wouldn’t be bad. Cipollini onions are small, flat, sweet onions. Sweet onions or any variety cut in large dice would work. Very good posting.. me I just now discovered your web site in addition to planned to point out that I absolutely loved shopping your blog site discussions. No matter the reason I’ll be checking in your feast using this program . wishing you’re yet again shortly!